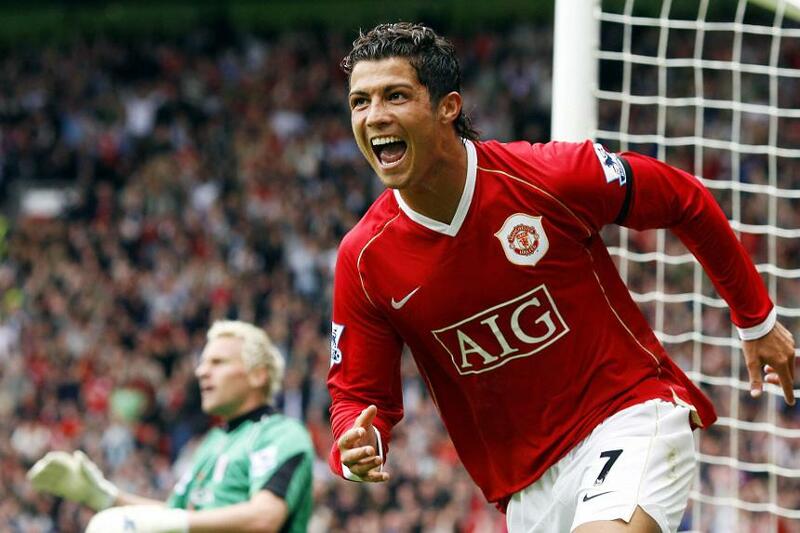 In the last of a five-part series on players who shaped the Premier League, adapted from his book, "The Mixer", Michael Cox looks at the impact made by Manchester United forward Cristiano Ronaldo. While Cristiano Ronaldo would become just the second Premier League player to win the Ballon d’Or in 2008 – following Michael Owen’s triumph seven years beforehand – it’s worth remembering that the Portuguese winger was mocked by many in his first campaign in English football. He wowed Manchester United fans with his trickery on debut against Bolton Wanderers, but was then criticised for his showboating and his tendency to go to ground. But 2006 was the turning point. After his involvement in the sending off of club-mate Wayne Rooney at the FIFA World Cup, Ronaldo was supposed to be public enemy number one upon his return to England. Instead, he improved beyond anyone’s expectations, particularly in a physical sense, and spent the next two years impressing crowds up and down the country with his directness and relentless thirst for goals. He won the PFA and FWA Player of the Year in both 2006/07 and 2007/08, and took Manchester United to the European Cup too. His astonishing improvement was most evident in his goalscoring return – from 18 Premier League goals combined in his first three seasons, Ronaldo then hit 66 in his next three. His 31 goals in 2007/08 remains a joint-record total for a 38-match campaign. In part, this was because he was essentially given freedom from defensive responsibilities by Sir Alex Ferguson, turning from a right-winger to more of a left-sided attacker – and, at times, an outright centre-forward. "All the premeditated tactical theories I had learned about getting into shape and tracking back with your runner, all the things that had been drummed into me, were thrown out over two years because we had a player who could make up his own rules with the blessing of his team-mates," said Gary Neville. "Ronaldo has helped to redefine the game."